Hello again friends! Happy New Year, Happy Valentine’s Day, Happy St. Patrick’s Day, Happy Easter and merriment wishes to any other holiday and celebration that I may have missed. 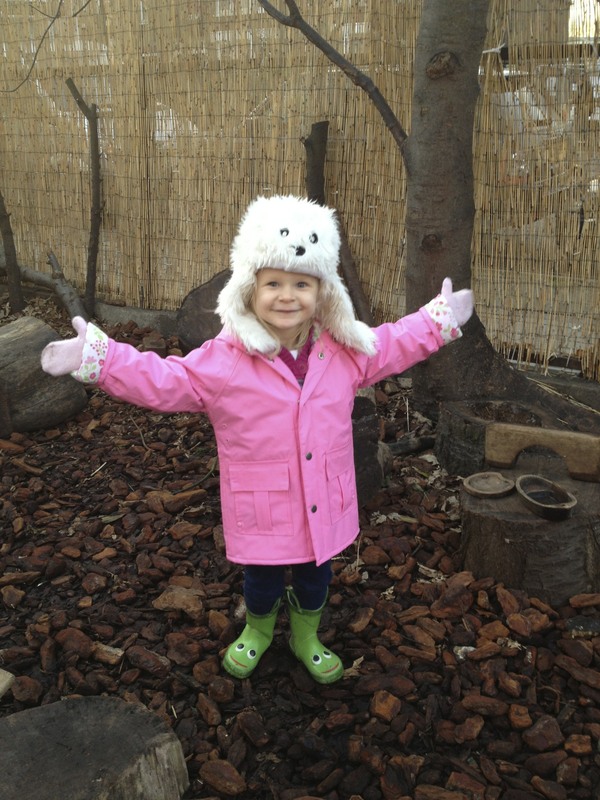 2013 started with many changes and many firsts like Lua’s first day of school, moving into a new flat, and starting to train for a marathon. As the dust has settled, there are more gluten and dairy-free recipes and updates on our lives in London to share with you. After being away for one month on our trip home in December, we returned to a flat that demanded scrubbing attention (somehow an avocado was left on the kitchen table, for 1 month rotting away, and some mysterious vegetable was left in the garbage can even though I could have sworn we took out every piece of rottable parcel). After all of the general cleaning and airing-out was completed I decided to venture into the kitchen and take on the grease-filled oven. 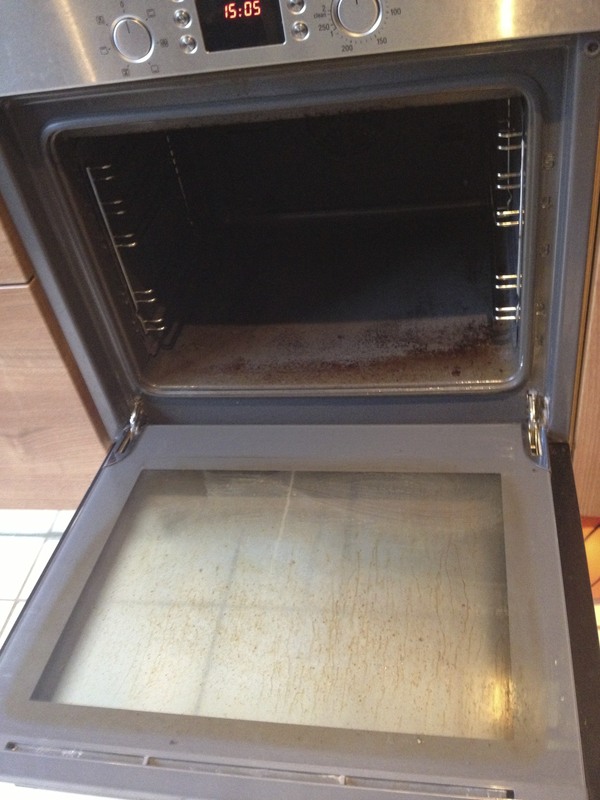 This is my greatest kitchen confession, I have never cleaned an oven! But this year, 2013, was the year I was going to start “grease-free.” A clean oven seemed necessary, it helped concretize the need for a fresh start to a year I knew would begin with a few unknowns and shifts. The toxic chemical cleaners would not do, gross. The magical potion I used to de-grease this oven contained only 2 ingredients, which I am sure you have in your kitchen right now, baking soda and water. 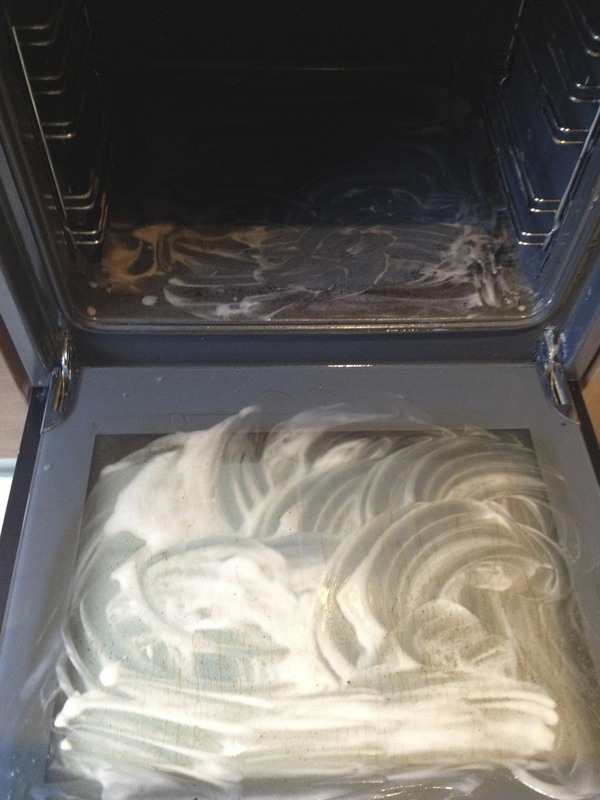 I used 1/2 cup of baking soda and added enough water to make a thickish paste, then smeared it all over the oven. 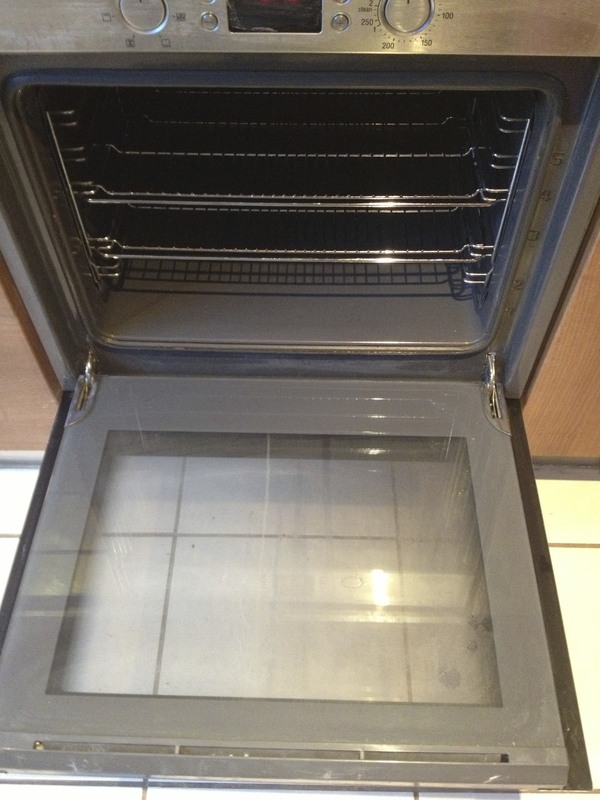 After letting it sit for 30 minutes, I scrubbed with a wool pad and transformed the oven into a sparkling gem. This sparkling oven created an inviting welcome to a new year of cooking. Never underestimate the power of a few small changes. It is good to be back! One of my friends from Southwestern College, Leslie Thompson, opened Momo & Co. a vegan (mostly) and gluten-free cafe in Santa Fe, New Mexico about a month ago. We were lucky to visit during our recent stay in Santa Fe. Leslie discovered a need in the Santa Fe community for a provider of vegan and gluten-free foods. She started by creating beautiful cakes, pies, cookies and cupcakes. I was unfortunately not in Santa Fe while she started to develop her recipes, though I enjoyed the pictures of her amazing creations on FaceBook. With help from her staff her cafe offers breakfast, lunch and dinner options including pizzas, soups, and sandwiches. And of course, dessert includes a variety of cupcakes, cakes, and sweet roll options. Momo & Co. located at 229A Johnson Street in Santa Fe, NM. It is beautifully decorated with vibrant, lively colors and furnished with a designated play area for children which includes a dolls house and kitchen set. Brilliant for those with children. Lua loved it! It has an open lay-out so you can see the staff cooking and baking throughout the day. We were hungry after hiking when we visited Momo & Co. so I ordered a sandwich which came with a large colorful salad. But let’s back up, I GOT TO ORDER A SANDWICH in a restaurant! This was so thrilling, to eat bread that was both gluten and dairy free! And it was delicious. Lua gobbled up the black bean soup and Gabe loved his Egg McMoMo. After our meal we treated ourselves to the cupcake window. Gabe and Lua got the chocolate, chocolate cupcake and I got the chocolate cupcake with coconut frosting. They were amazing, seriously delicious. Gabe was bewildered that they were gluten-free and even compared them to the famous Sprinkles Cupcakes. Lua was still talking about “Leslie’s Cupcakes” on the plane ride back to Minnesota a couple of days later. To sum it up, Momo & Co. was a hit! We look forward to return on our next visit to Santa Fe. Your work is an inspiration, Leslie! Upon the request of myself and my brother, who also did not get to feast the traditional Thanksgiving Dinner because he was in Cabo, Mexico this year, I am making the big dinner for my family to celebrate my Mom’s birthday! Of course this year will require a few changes, eliminating one of the stars of the meal, butter – but I think I can pull it off. I like to make list upon list to help me stay organized for this huge undertaking. The menu will include: a salt-roasted turkey with lemon and thyme, regular and gluten-free stuffing with sausage, apples and water chestnuts, green bean casserole, candied sweet potatoes, corn pudding, mashed potatoes, gravy, cranberries, chocolate cake and pecan pie. Yes, for two days I live in the kitchen prepping and cooking and sautéing and baking. This year, my Dad has so graciously volunteered to be my Sous-Chef! Thanks Dad! One of my tips is preparing as many dishes that I can before the big feast day. So two days before eating, I make the cranberries. As a child, I always shied away from the cranberries as they were always unpredictable. There are so many ways they can show up on the table – in a jello mold, from a can, in a salad, however my favorite is my Mom’s recipe listed here. Now, they are one of my most beloved sides to this meal adding beautiful color and vibrance and a sharp, tart and sweet counter piece to the dense and rich food surrounding it on the plate. So, here is to the start of the holidays for our family! Feast away! Place all ingredients in a large pan set over high heat. Stir until sugar dissolves and mixture starts to boil. Then turn heat to low and let sit, stirring every now and then for 1-2 hours until desired thickness. You can serve warm, or let cool completely and refrigerate. I threw away my cast iron skillet! Yes, it is true, two years ago I threw away my cast iron skillet. For many chefs it’s a travesty, as there were no chips or cracks; merely rust. I have lived with this guilt for two years. Let me explain, weeks before our first child was born we purchased a cast iron skillet. Gabe did much of the research on caring for the pan, finding out how to season it, cook with it, care for it, and clean it. This pan really took on a life of its own. Then after Lua was born, me tending to this skillet was out of the question – I had a baby to take care of, not a cast iron skillet. So Gabe took over and did a good job of keeping that bad boy going, however after a year of not keeping up with proper seasoning or washing and infrequent usage rust began to form at the bottom of the pan. Still being sleep deprived, there was no way I was going to research how to bring our beloved pan back to life in the kitchen. It sat and it sat and it sat, rusted and all. Then came moving day where we packed up our things and were headed for England. Gabe pleaded to save the pan, promising me that the rust problem could be taken care of, but in a moment of being overwhelmed with moving I refused and did the unimaginable. I tossed it in the trash! I can hear all of the “No’s” now. I know, I know. So here we are 2 years later and my friend Jenna seeks out advice from me about how to season her brand new cast iron pizza pan. Funny she should ask, so here I try to redeem myself and clear away all of that cast iron skillet guilt. Now I actually have time to research. Here is what I found. NEVER THROW AWAY A CAST IRON SKILLET! (unless it has cracks or chips) Ouch! To season a cast iron skillet preheat oven to 450 degrees F. Lightly grease pan with an oil that can reach a high smoking point. Coconut oil works great, If you don’t have coconut oil you can use a vegetable oil like canola or sunflower or lard. Wipe off any excess oil that may still be in the pan with a paper towel. Then place the pan UPSIDE DOWN on a piece of aluminum foil in the oven for 30 minutes. Then turn off the oven and let the pan cool to room temperature inside the oven. You can repeat this process until seasoned to your liking. Some do this 3 to 4 more times. This “seasoning” process fills the cavities of the pan with oil, creating a natural non-stick surface. What if, no matter how much time and seasoning you put into your pan, it starts to rust? DON’T THROW IT AWAY! Instead, scour it with steel wool until all rust is removed. Then wash, dry and season again. One other common issue is if your food starts having a metallic taste. This happened to us and it made me feel ill, another reason why my, albeit poor, solution was to toss the thing. There seems to be a couple of causes to this problem. The first is that the pan is not properly seasoned. So start back to square one, wash, dry, then season in the oven. And another cause is leaving food in the cast iron skillet. We never stored food in the skillet, but food would sit in it for a while. This causes the acid from the food to breakdown the seasoning of the pan and creates a metallic flavor. So immediately after cooking food, remove food from pan. Let the pan cool, then wash, dry, and season. Wow, that was so useful – thanks for your inquiry, Jenna! I now feel so confident in keeping my next cast iron skillet alive and well seasoned. When we get back to London, there is a cast iron skillet calling my name. This started as an attempt to make lemon poppy seed pancakes from Joy the Baker. After I added the dry ingredients the batter was much to thick to make into pancakes. So I went to plan B and instead created muffins. After the batter was evenly distributed amongst the cupcake pans I realized that I had forgotten the sugar. So while they were baking, I made a simple lemon syrup. After the muffins were finished baking and while they were still hot, I drizzled the muffins with the sugar syrup. Alas, here are the lemon poppy seed muffins. Preheat oven to 350 degrees F. Lightly grease or line a muffin tin, set aside. First make lemon sugar by combining only 2 tablespoons of sugar and fresh lemon zest. Using your fingers message zest into sugar to release lemon oil into sugar, then set aside. Whisk together all dry ingredients, set aside. Whisk together all milk, eggs, vanilla and oil. Add wet ingredients to dry ingredients and stir to combine. Place batter into muffin tins and bake for 25-35 minutes depending on your oven. While muffins are baking, make lemon syrup. First heat a pan on medium high heat, add the remaining 2 tablespoons of sugar and the juice of one lemon. Heat and stir until sugar dissolves and thickens into a syrup. Once muffins are done, remove from oven and immediately pour 1 teaspoon of lemon syrup over muffins and let cool in pan for 5 minutes. Remove muffins and place on a cooling rack until cool. One of the greatest aromas at this time of year is freshly baked banana bread. We have been enjoying this treat after a cold autumn day outside or to bring as gifts on play dates to share with friends. I found this recipe from Gluten-Free Goddess. We have made a few changes using cornstarch instead of tapioca starch and reducing the amount of sugar by one half and substituting with almond flour. It still has a wonderfully sweet flavor and the cornstarch has been a great substitute since I still have not been able to find tapioca starch or potato starch in the grocery stores in London. Preheat oven to 350 degrees. Lighly grease 2 9-inch bread pans, set aside. Whisk eggs, then add mashed bananas, oil, vanilla and sugar. Mix well to combine. In a separate bowl whisk together remaining dry ingredients. Add banana mixture to dry ingredients and mix well to combine. Pour batter into greased pans and bake for 30-40 minutes depending on your oven. Enjoy!